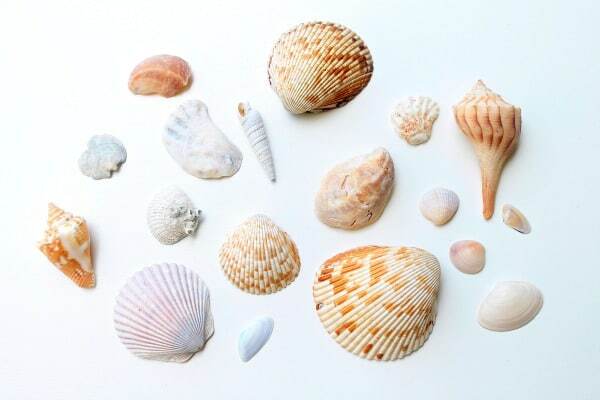 Continuing our fun with summer themes of the ocean and beach, I decided to use some of the seashells we collected from our recent beach trips to investigate the properties of shells. 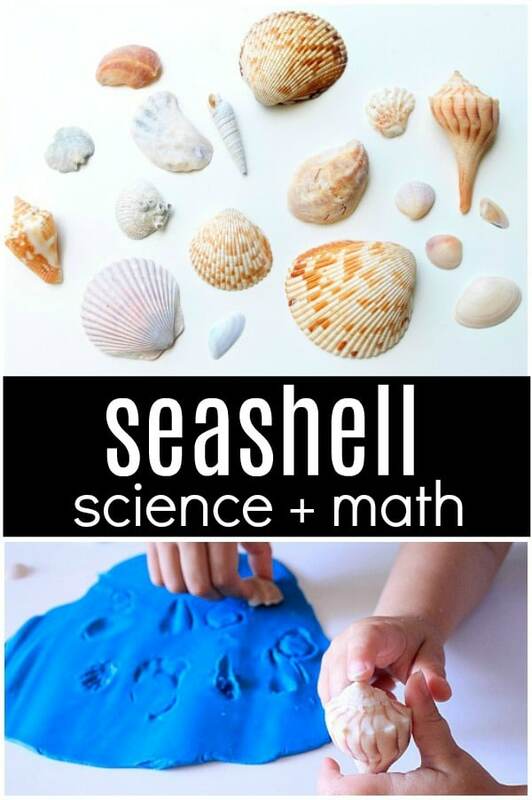 I set up an activity that included some science and math to keep my little ones’ fascination with shells going. 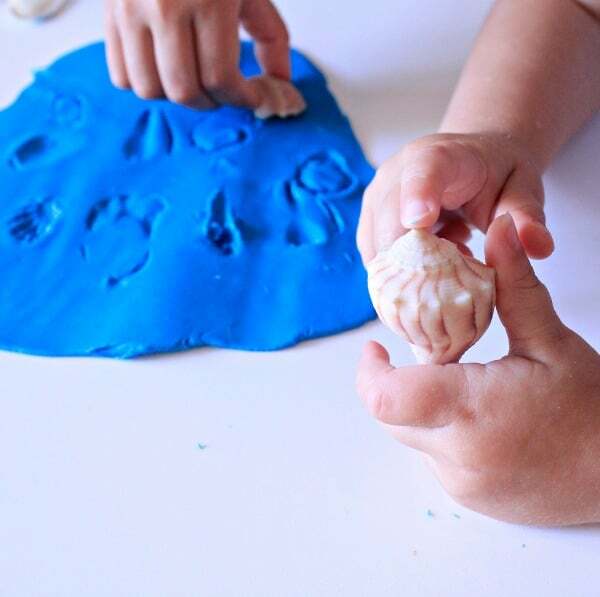 Whether you’re looking for an independent investigative activity, or a small group math and science lesson, this seashell math and science activity should keep your kids exploring and learning with shells! Get a full week of summer learning! 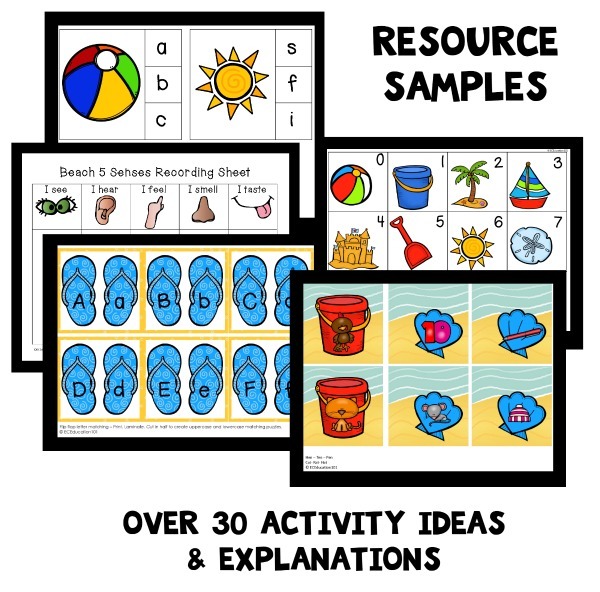 Try our beach theme, shell theme, or ocean theme lesson plans. 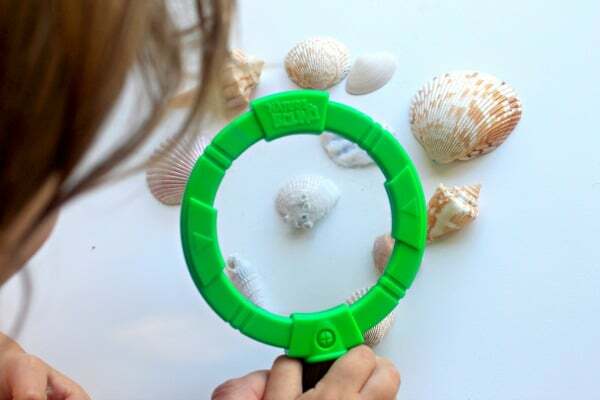 When introducing this activity, I began by letting the girls explore the shells with their hands and a magnifying glass. We discussed the properties of the shells such as their shape, size, texture, and color. They quickly noticed a shell with barnacles on it and wanted to know more! I asked them what kind of picture, or imprint, they thought the shells might leave behind if we stamped them onto some play dough. Eager to find out, they immediately began to claim their favorite shells to explore with. We chose blue play dough, but you could also make your own coconut scented dough. My oldest began by rolling out the dough with a toy rolling pin. 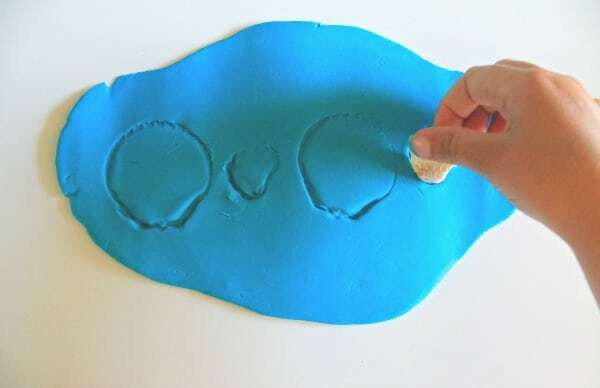 This is optional, but will definitely help in providing a smooth surface to make shell imprints. 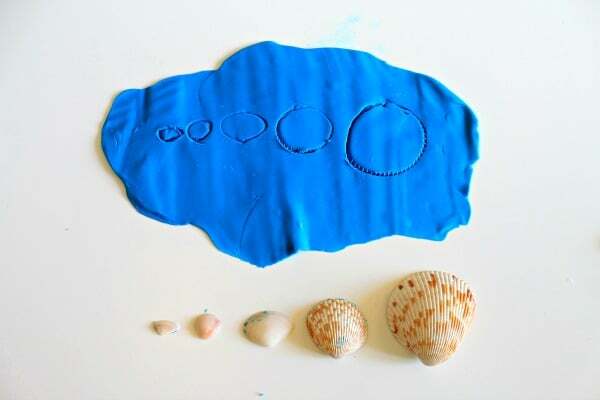 Once the surface was smooth, they began to stamp their shells, recognizing the different imprints they left behind. They pushed the shells into the dough, making the outlines of the shells. It was quickly pointed out by my older little scientist that their imprints resembled fossils. My toddler decided to stamp the play dough with the top of a bumpy Lightning Whelk shell and was excited to see the pattern it created. For an added challenge for my (almost) Kindergartner, I asked her to choose some shells and order them from smallest to largest. She loved carefully examining and selecting which shells would be part of this activity. It provided additional time to examine the shells individually. Once she arranged them by size, she stamped them onto the dough to create an imprint. We also extended the fun into creating patterns. I started with a simple AB pattern, asking her to alternate between a big and small shell. She chose a Bay Scallop and Tiger’s Paw to create her AB pattern. This proved to be her favorite math activity, so we continued by choosing different shells and working up to more challenging ABB and ABC patterns. 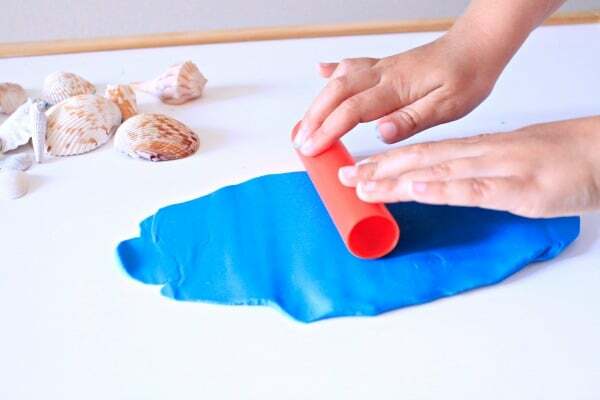 I loved how this activity incorporated science, math, and even the senses! Find more inspiration in our ocean theme.